During Chinese New Year, keep in mind many factories will be closed between two and four weeks. Take steps now to avoid losing out on revenue due to inventory being out of stock. No, we aren’t looking at the calendar wrong. 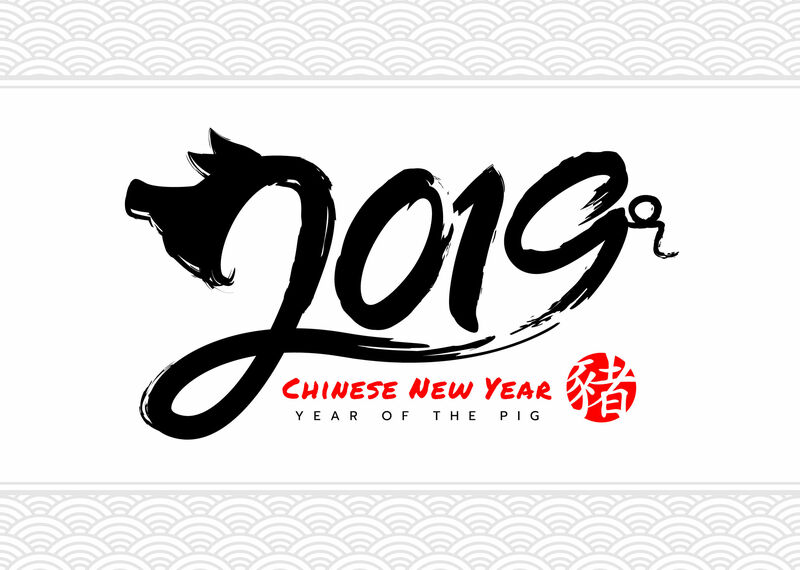 The Chinese New Year (CNY) is fast approaching, and 2019 is the year of the Pig. People born during this year are known as hard-working, peace-loving, truthful, generous, reliable, giving, and sociable. While people born in this particular lunar year are also considered patient and understanding, vendors who order inventory from China must understand patience and planning are vital when preparing for the CNY. What is the best way to ensure there is enough inventory to avoid overstock during this fifteen-day holiday, one of the most celebrated festivals on the planet? Before we can worry about stockouts, it is important to understand the timeline of the CNY, because it is different from the Western holidays of Christmas and January 1st. The date of the CNY changes based on the lunar cycle, and can occur any day between January 21 and February 20. It is typically the second new moon of the winter solstice, falls on February 5, 2019. Many workers take the week before the New Year off, and depending on the supplier they work for and the part of the country they are located in, they will not return to the production line until two or three weeks after the CNY. That is nearly an entire month of production lost. So what can vendors do ensure there will not be overstock during the long holiday? How long will you be closed? Each supplier will be closed for different lengths of time. Carefully note which suppliers will be closed for up to four weeks, and plan accordingly. How much notice do you need for orders? Ask when you can place your last orders. Don’t expect many orders to be filled in January. Any last-minute orders you place after Christmas or in January will not be filled until February or, more likely, March. Keep in mind that your suppliers fill orders for other vendors, so this is really a crunch time for everybody. When do you expect production to pick back up? It is helpful to know when production will start, when they back orders will be filled, and when they expect to be back at full production. Ask if you can reserve extra manufacturing time to avoid stockouts. This will make for better planning on your end, even if there are additional costs involved. Will staff be on hand to answer questions if I need help? While production workers will certainly be gone for a minimum of three weeks, can you work with the sales, engineering, or administrative branches of the company? They are less likely to be gone for the entire duration of the holiday. Will they be answering communication at all during the holiday? Is so, when? Do you have stock on hand in case of emergencies? Even the best laid plans can go awry, no matter how carefully you plan. What then? If you have a product that is particularly in demand, your supplier may have inventory they can ship via freight or by air should an emergency arise. How long is shipping time? Much of the transportation network will also be shut down at CNY. Expect a backlog in shipping right after the holiday. Can your liaison tell you how long it will take to ship stock after CNY? Can they give you a timeline of when they expect shipping to resume normally? Will there be a backlog at customs? How long will it take the first products to reach my country? Expect bottlenecks on both sides of the ocean, especially items leaving China. While it may be difficult to predict exactly how long it will take for your inventory to clear customs in China, your supplier liaison will have the best time estimate available to you. Use them as a valuable resource, and remember the lead time it takes for shipping. If not a problem, keep the regular lead time and go back to regular days of stock merchant was using before. Summary: With the CNY fast approaching on February 5th, open and honest conversation between vendors and manufacturers is paramount. Keep in mind many factories will be closed between two and four weeks. Use inventory software and demand forecasting to analyze such things as days in stock and sales velocity. Increase days of stock to avoid stockouts, and remember to have enough inventory for the CNY holidays closed plus shipping time. Smart planning before CNY will give you patience and understanding in this Year of the Pig. It will also pay dividends as it helps avoid headaches down the supply pipeline.